Nolan graduated from the University of Guelph in 2005 with a Bachelor of Arts in Political Science and a minor in Economics. Nolan then attended the University of Western Ontario where he received his JD in 2008. While at Western, Nolan competed in the Cherniak Cup Moot Court Competition, and volunteered at Community Legal Services where he represented clients with limited means in small claims and criminal matters. Nolan was then Called to the Bar in 2010, after articling with a prominent regional law firm in London, Ontario, where he practiced law until 2012. Nolan completed his LL.M. through Western in 2014. 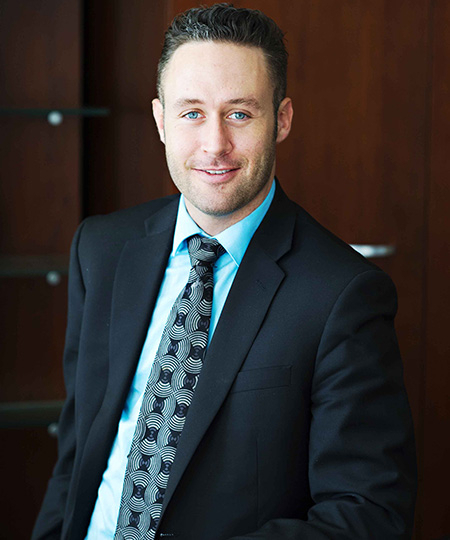 Nolan joined Giffen LLP in 2012 as a member of Giffen's litigation group, specializing primarily in insurance law and municipal law. He assists clients in issues ranging from liability defence to policy coverage analysis, always with an eye towards resolving client matters expeditiously, effectively and efficiently. Nolan has courtroom experience at both the Ontario Court of Justice and the Ontario Superior Court of Justice. Nolan is a member of the Waterloo Law Association and Canadian Defence Lawyers. In his spare time, Nolan enjoys spending time with family and friends, and is an avid enthusiast of cinema, political memoirs, and Guinness.